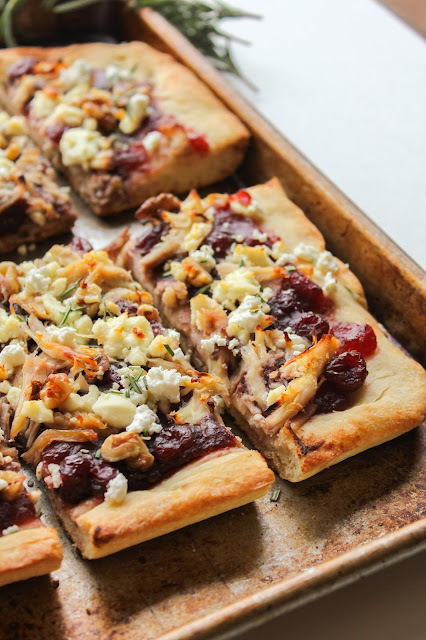 Goat cheese and cranberry sauce pair perfectly with chicken and walnuts for an exciting change to our pizza routine! Easy and quick to make, it's a winner on pizza night! No matter the time of year, I'm always in the mood for pizza. It's part of our weekly routine to get pizza delivery sometime during the weekend, whether it's Friday or Saturday night depends on our schedules. I really enjoy making homemade pizza too, so sometimes I'll do that instead. I enjoy changing the toppings up - it could be just cheese or pepperoni, other times I'll make BBQ Chicken or Chicken Alfredo. It's fun to put some twists on the traditional toppings. Recently I decided to create a new pizza that symbolized Fall. Not the usual pumpkin, sweet potato, apple flavors that I've been working with a lot lately. I wanted something different. Going with cranberry was the best decision I made for this pizza! Delicious cranberry sauce is the base, topped with shredded chicken, walnuts, crumble of goat cheese and fresh rosemary. That pizza has Fall written all over it! What was even more fun was baking the pizza in my new Cuisinart Chef’s Toaster Convection Oven! This oven can do so many things - toast, bake, broil and so much more. With it being a convection oven too, I can cook things so much faster! It will come in really handy to have this oven around during the holidays. I mean, who doesn't always need an extra oven when there is so many dishes to bake for Thanksgiving? No worries if you don't have this oven on hand at home, this pizza can be baked in either the Chef’s Toaster Convection Oven or a regular oven. Just watch it a little bit closer if using a traditional oven. 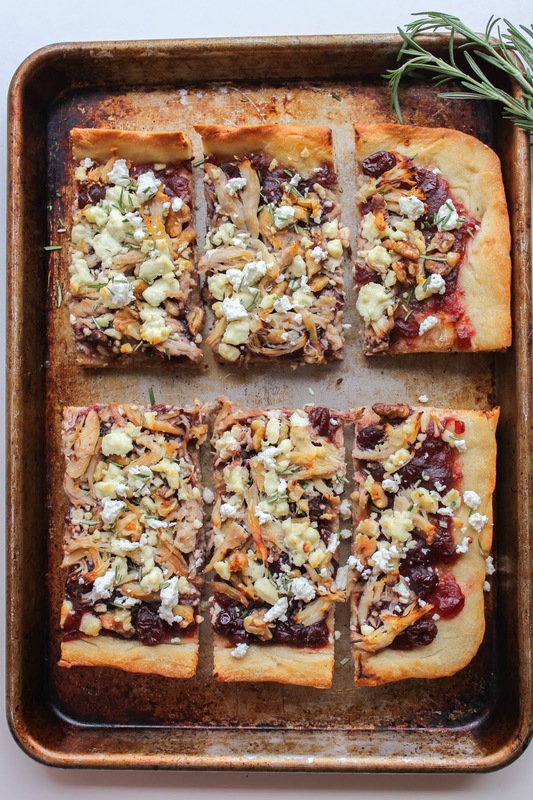 Also, this pizza could easily be made with your Thanksgiving leftovers! You can easily substitute turkey for the shredded chicken, and if you are like me, we always have leftover cranberry sauce, too. Are you ready to give this pizza a try? Preheat the Cuisinart® Convection Toaster Oven Broiler to 425 degrees on the bake setting. Alternately, preheat your oven to 425 degrees and place a rack in the lowest position. the dough is a light golden color. 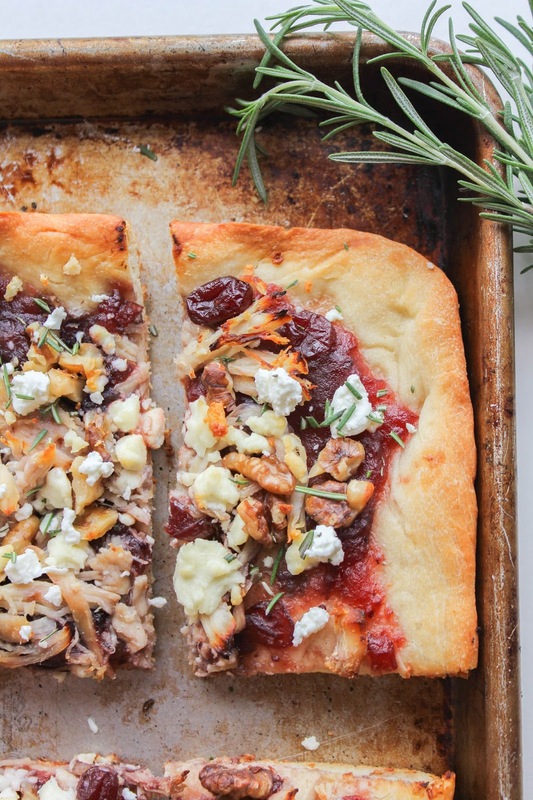 Spread the cranberry sauce all over the dough, leaving a 1-inch border on all sides. Evently top the pizza with the shredded chicken, the crumbled goat cheese, and the walnuts. Bake the pizza in the oven for about 15 minutes, or until the dough is nicely browned and the cheese is melting. Remove the pizza from the oven and sprinkle the fresh rosemary all over. Cut into eight slices and serve immediately. 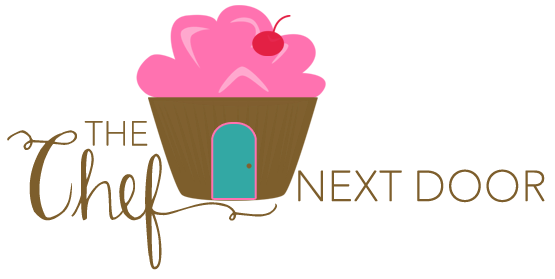 Disclaimer: Cuisinart sent me a complimentary Chef’s Toaster Convection Oven for my review. All opinions, as always, are my own.